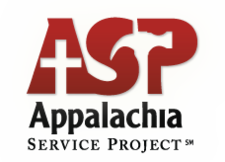 This is our first Appalachian Service Project (ASP) mission team and we are preparing to send 3 work groups comprised of both youth volunteers and adult leaders. We will be serving in an impoverished Appalachian community in West Virginia, Tennessee, Kentucky, or Kentucky (county assignments are usually completed in early Spring). Each year, ASP coordinators spend hours and hours in the these communities to determine where the needs and living requirements are most challenged. They plan out construction projects and home rehabilitation schedules and we as volunteer work teams, along with other churches from all over the nation, travel to these Appalachian communities to rebuild the homes and lives of those who are less fortunate and need not only a home but a caring hand to help them see the love that Christ has to offer. We stay in local churches, community centers, schools, and ASP volunteer service centers with many other volunteers and engage in fellowship, community outreach programs, and daily worship events, all on top of our work projects that range from constructing new roofs, to building retaining walls, to putting up new home siding. In addition to the impact the youth and leaders have on these people whose homes we help rebuild and fix, the bigger impact seems to always be on the volunteer and feeling of helping someone in need and seeing the work of Christ through their own hands. Zach Woody has a passion for this mission and brought it to the congregation as a "new" mission opportunity. If you want more information, please contact Zach or leave a message on our missions email.